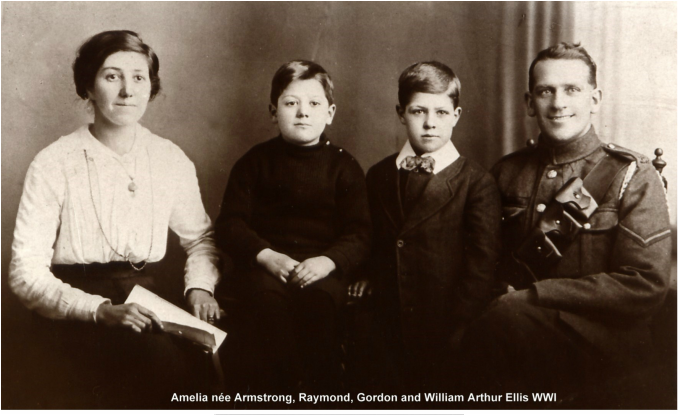 ﻿﻿William Arthur Ellis was born in Chapel en le Frith in Derbyshire in 1880 and married Amelia Armstrong in Farnworth, Lancashire in 1907. He moved to Mobberley in 1912 and worked as the manager of Levi Brown & Sons Builder's Yard until 1951. The business stood next to the Bird in Hand Pub where the Farmer's Arms Inn used to be. 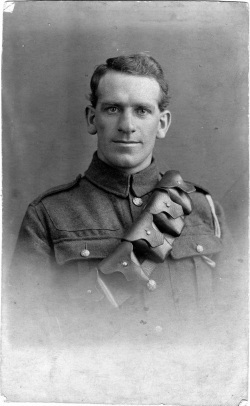 Billie Ellis joined up in 1916 along with his younger brother Ben. They were transferred to the Royal Field Artillery and sailed for France that August. William was at Arras with the 152nd Heavy Battery. In 1917 , their father using a pre-determined code and knowing where they both were, wrote to them allowing them to meet up. 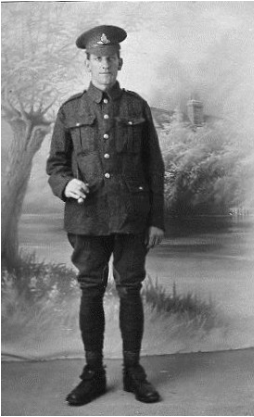 Billie was on leave on Armistice Day but had to return to France to await demobilization. After the war he was involved in many sporting activities and served on the Parish Council. He died in 1968 and is buried at St Wilfrid's.